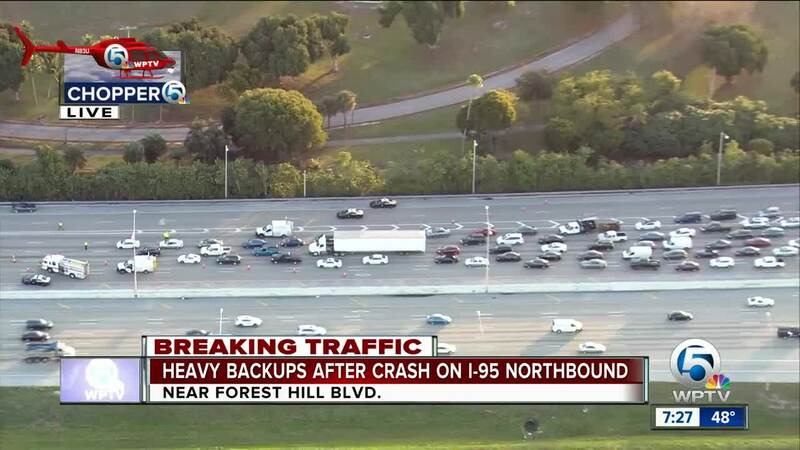 A crash is causing major backups on I-95 in Palm Beach County. This is in the northbound lanes near Forest Hill Boulevard. Troopers say two lanes are blocked, and traffic is very slow to get by. The crash involves multiple vehicles. Chopper 5 spotted a wrecked car facing the opposite direction in the northbound lanes.